This past week we have been doing a unit of study on measurement in math. Students have been using their background knowledge to help them think of objects that measure to the nearest inch, foot, and yard. Students also completed measurement flap-books measuring to the nearest inch, foot, and yard. The next day students did a little measuring around the room measuring objects to he nearest inch and centimeter. For a fun wrap up lesson of measuring to the nearest inch we had students go on their first measurement hunt using QR CODES!!!! ahhh, I was so excited to finally try them out in the classroom! 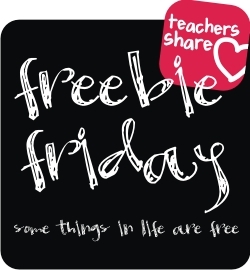 I had so much fun making the activity that I just couldn't wait to see it in action in the classroom!! 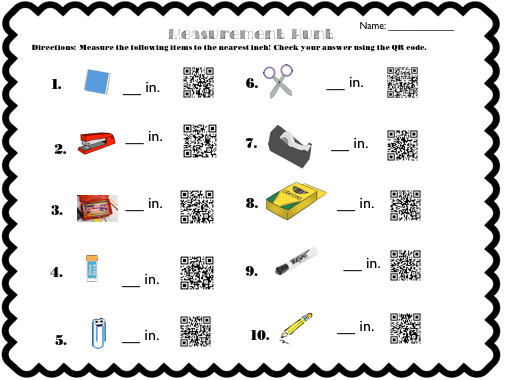 I felt that the measurement task was a simple enough review activity for them to be introduced to QR codes....so I couldn't wait to try it! I started the lesson by reviewing how to determine which side of the ruler to use when measuring to the nearest inch. Students responded with "the side that says INCHES" or "the side that only has 12 numbers" or "the side where the numbers are further apart." We then discussed how to figure out where to start on the inches side. Students responded with, "start at the 0" or "start at the 1st line on the inches side." Good thing we had that cleared up before they started the activity! 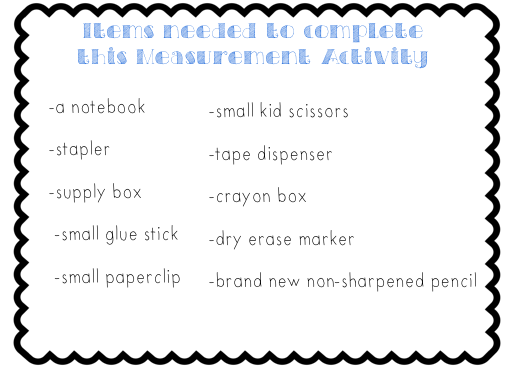 To complete this activity, students had to go on a little "measurement hunt" in their desk or the teacher's desk to find the items on the worksheet. Then students measured each object to the nearest inch. After students wrote their answer on the worksheet, students used the Qrafter application (QR Code Reader/Generator) on their ipads to self-check their answer. Since it was our first time using the QR Code app, there was a bit of trouble-shooting throughout the activity. Sometimes the students had difficulty having the QR code app pick up the image from the QR code on the worksheet (either the students were too far away or too close). Sometimes students were pointing to the wrong QR code, so the answer didn't match what they got...Typical types of technology glitches that happen when you try anything for the first time!!.. Overall, students were completely loving this activity and had so much fun self-checking their answers!! I was pretty amazed at how focused they were. Better yet they were cognitively engaged and collaboratively working together to trouble shoot problems!!! 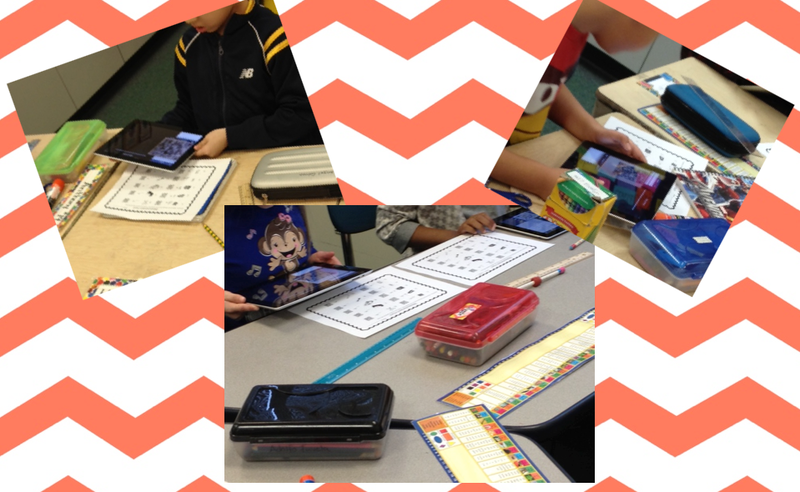 I can't wait to add QR codes in our class in more ways!! 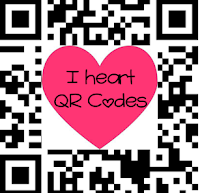 Since QR Codes seem to be the new buzz around technology, how have you been integrating QR codes in your classroom?? I would love to hear what other ways people are using QR codes!! Below are some pictures of students using the Qrafter app (QR code reader) on the ipads to self-check their work using the QR codes on their worksheet.